Royal Caribbean Cruises Ltd. (NYSE: RCL) announced yesterday that it has entered into an agreement with French shipbuilder Chantiers de l’Atlantique to order a fifth Edge-class ship for delivery in the fall of 2024. 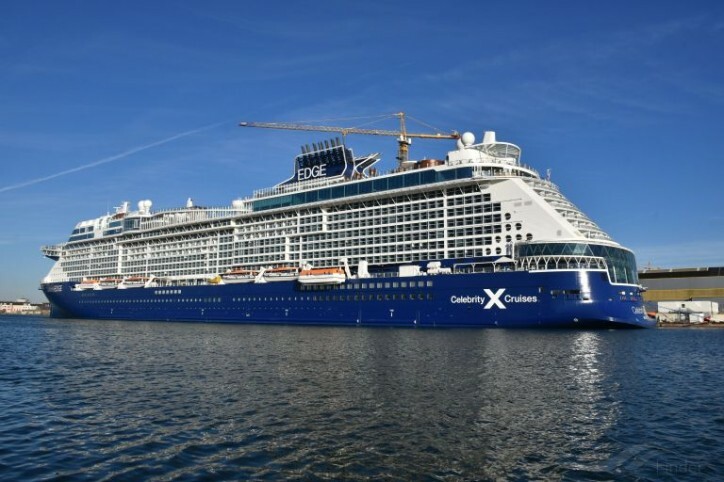 Celebrity Edge (see also CruiseMapper) was delivered in 2018. Three other Edge-class ships were ordered earlier and are scheduled for delivery in 2020, 2021 and 2022. This new order is contingent upon financing.